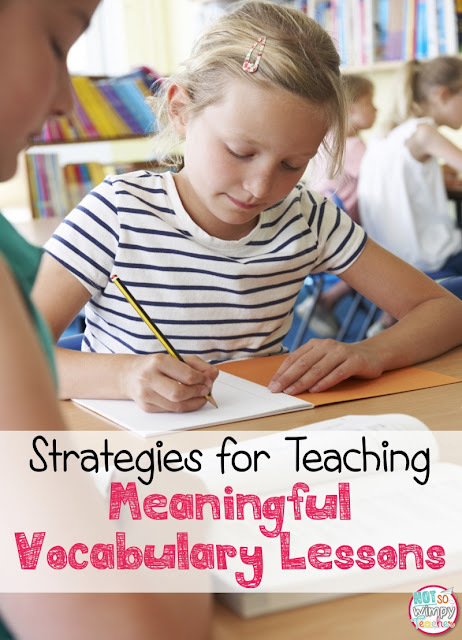 Are you struggling to find time to teach meaningful vocabulary lessons? I was! 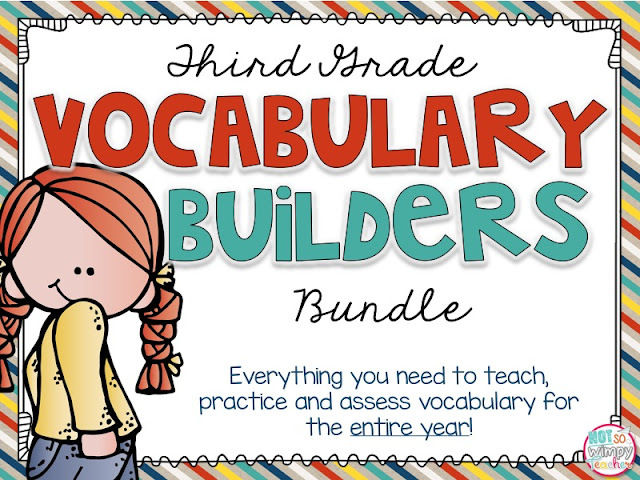 So I did lots of reading and research about vocabulary. 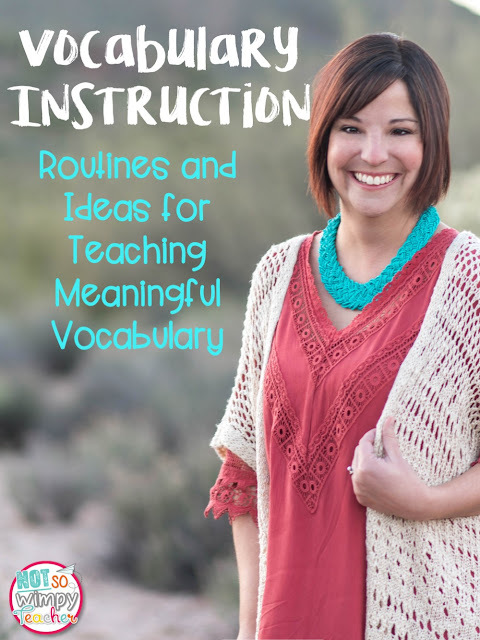 I made it a professional goal to improve the quality of my vocabulary instruction. I tried a lot of different things. I gave my students a dictionary and had them look up the words. They were totally confused by the fact that most words had half a dozen definitions and often used a form of the word in the definition. I made PowerPoint presentations to introduce the meanings of the words. My students were not actively engaged or listening. I was doing all of the work! After lots of trial and error, I finally have a routine that my students enjoy and I am happy with the growth they are making in their word study. I did a video on Facebook about my weekly vocabulary routines. You can watch the replay. You can also read about these routines by clicking on the photo below. If you are interested in the materials that I use with my students, you can click on the picture below.